Has the NJ Department of Education Misallocated Federal Funds Intended for Low-Income Students? You are receiving this message because this email account was recently used to sign up for an upcoming Technical Assistance( TA) session regarding discretionary grant opportunities using, Title 1 Part A Funds. This email is to inform you that the TA session has been cancelled. The New Jersey Department of Education (NJDOE) under the direction and guidance of the US Department of Education (USDE) is revising the manner in which these the Title 1 Part A grant funds will be reallocated. As a result, we will be sending updated information out in the next few days. Once this information is broadcasted we will also email this group with the necessary and pertinent updates in an effort to provide the best possible customer service during the revision of this grant reallocation process. We apologize for any inconvenience you may have experienced, and look forward to providing continued support and guidance as we further engage this work in the days and months to come. Indeed. 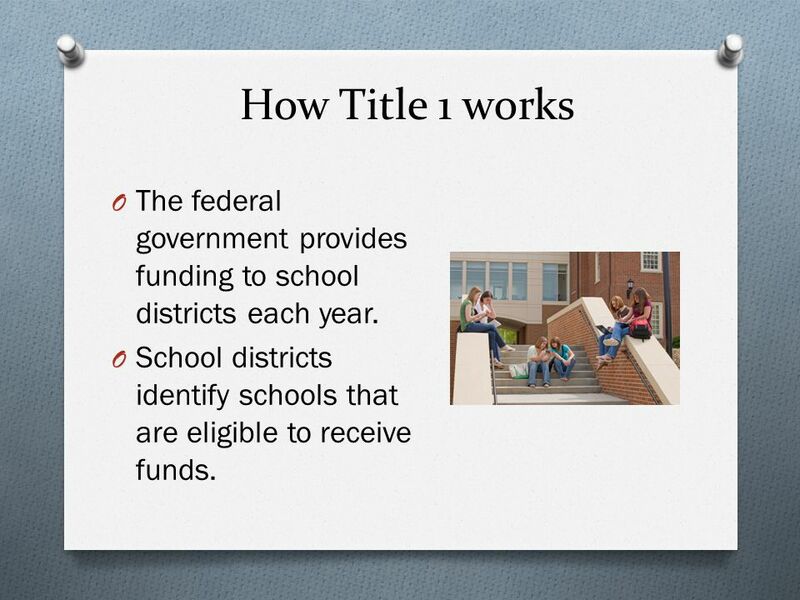 Here’s what’s up: Every state is eligible for what’s called Title 1 funding. This funding program, which dates back to 1965 and is the pillar of federal education law, provides money that flows from the federal government to state education departments and lands in districts where 40 percent or more students are economically-disadvantaged. In New Jersey, Title 1 allocations are managed by the Division of Student Services (although you’ll have to trust my sources on this because the webpage for “Description of Departments at the DOE still says “Under Construction”). The Director of the Division of Student Services is Carolyn Marano, whose troubling history I profiled here. But then the Division of Student Services had to renege on that offer because the Feds determined that these grants were not a legitimate use of Title 1 funds. Hence the email above. It’s a minor screw-up (unless you were an applicant who wasted many hours creating a grant proposal to help low-income students). Yet it fits the pattern we’re seeing of dysfunction and lack of oversight. According to my sources, the Student Services Division has not properly monitored Title 1 funding for the last two years. Next PostLakewood Isn’t Just Cheating Its Public School Children; It’s Cheating Its Orthodox Jewish Children Too.